A Lake Tahoe woman is suing a longtime bear protection group after she says she got death threats for reporting an aggressive black bear to Nevada authorities, who then killed the animal. Adrienne Evans, a professional mountain bike racer and high school science teacher, accuses the BEAR League of igniting an ugly social media campaign that turned into a vengeful attempt to run her and her husband out of town. She said she loves bears and wasn't trying to get the animal killed. The lawsuit seeks up to $50,000 in damages from the nonprofit bear group and its founder Anne Bryant for engaging in a "libelous smear campaign'' on the north shore's wealthy enclave of Incline Village. Earlier this month, the group's lawyer asked in a motion to dismiss the suit in Reno's Washoe District Court, calling it a "meritless'' attempt to stifle free speech. The BEAR League opposes state officials killing problem bears, saying that they should instead be returned to the wild and that humans need to take more steps to keep food away from the animals. Some activists have recently taken to organizing vigils near state-set traps to intentionally scare the bears away. Richard and Adrienne Evans — who races under her maiden name, Schneider — said they called authorities to their condo in December 2013 after a bear broke into their vehicle. It attempted similar break-ins twice in the weeks before, and Nevada Department of Wildlife officials had tranquilized the same bear, captured it and released it to the wild in the months before that. Because it was a repeat offender that continued to be aggressive toward humans, game wardens trapped it again and euthanized it. That's when the Evans' say their nightmare began. "BEAR League volunteers began to make false and malicious statements and accusations ... in a vicious and calculated effort to damage her reputation and instill fear in Adrienne and others who might call'' about aggressive bears, according to the lawsuit that Reno lawyer Sean Rose filed in December. Some postings identified her racing sponsors, it said, and urged the public to harass the couple so "they would lose their jobs and/or feel threatened enough to move out of the community.'' One anonymous Facebook posting called for Evans to be killed, the lawsuit said. 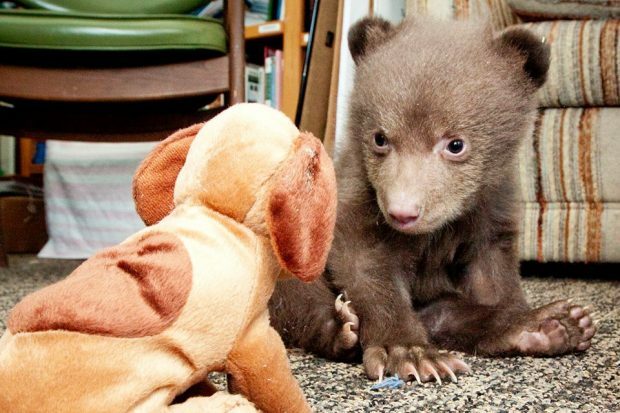 Lake Tahoe Wildlife Care in South Lake Tahoe now has eight new bear cubs in addition to baby bear Tahoe, who first made news when she mysteriously showed up one night in April. Here's raw video of the bears playing in their new home. BEAR League lawyer Katherine Parks said nearly all of the statements cited were made by people unassociated with the group and they wouldn't satisfy legal requirements for defamation because they were statements of opinion, not fact. Nevada Department of Wildlife spokesman Chris Healy said the most dangerous bears have to be killed to ensure public safety. But he said the vast majority are set free and returned to the wild — more than 400 in recent years. 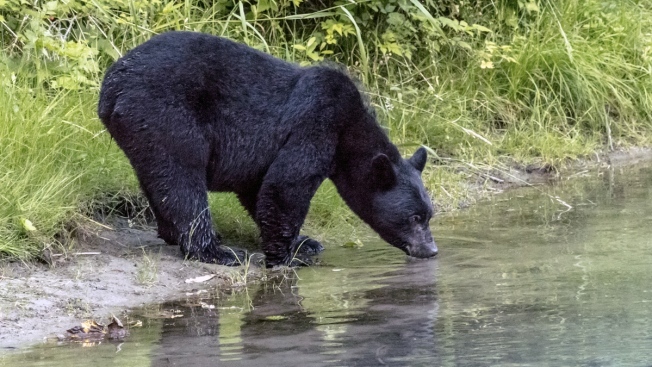 "When our trapping efforts are hampered by seemingly good-intentioned people, the bear will likely follow a behavior progression that ultimately leads them into dangerous encounters, such as breaking into cars and entering homes,'' Healy said. Evans told the Reno Gazette-Journal she teaches wildlife and conservation values to her students at Carson City High School.